Netflix is reviving Tales of the City, but Acorn TV has the original 1993 miniseries based on Armisted Maupin’s amazing books about 1970s San Francisco. 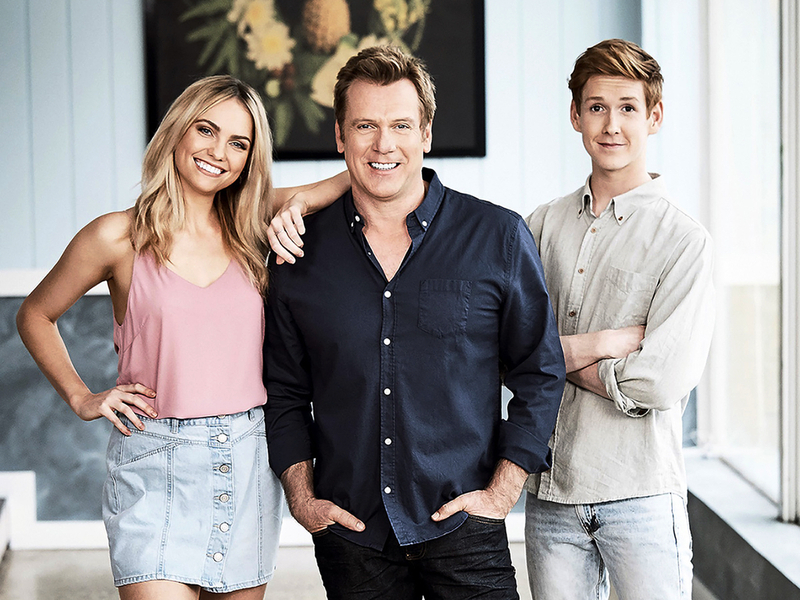 The service also is streaming the latest season of the New Zealand-set 800 Words and much more. Take a look at the full Acorn TV June 2018 premieres calendar below. The award-winning New Zealand family dramedy returns with new episodes. Logie winner Erik Thomson stars as George Turner, a man making a home for himself and his family in a beautiful and quirky New Zealand coastal town. The new season picks up with a search and rescue operation for Ike, Zac and Steve after their empty boat is found capsized. George contemplates possible fatherhood while comforting Shay. Jan gives birth to twins but there are more than paternity complications. Based on the ground-breaking novel by Armistead Maupin, “Tales of the City” follows a colorful cast of characters living at 28 Barbary Lane in anything-goes 1970s San Francisco. Newly arrived in San Francisco, wide-eyed Mary Ann Singleton (Laura Linney) quickly realizes just how far from Cleveland she really is. Moving into a funky house where her landlady (Olympia Dukakis) welcomes her with a joint, Mary Ann befriends the other residents and finds a good-natured home amid the drugs, drama, and debauchery. The influential, Peabody Award-winning PBS miniseries stars Dukakis, Linney, Paul Gross, Billy Campbell, Thomas Gibson, Parker Posey, Chloe Webb Ian McKellen. Jess (Brenda Blethyn) and Jacob Copplestone (Kevin Whately) have been happily married for 20 years. They now live in the market town of Shrewsbury with Jacob’s cantankerous and demanding mother, May (Rosemary Harris), his sweet and good-natured aunt, Brenda (Anna Massey) and his devout and elderly cousin, Nathan (Peter Sallis). With selfless dedication, Jess has given up her job as a librarian to care for “the oldies.” But when her husband disappears, Jess’s world starts to fall apart. She now has to question the entire basis upon which her life has been built and come to terms with her newly-found freedom while contending with her exasperating relations. “Belonging” is based on the novel by Stevie Davies and written by BAFTA award-winner Alan Plater. Based on the iconic book, “The Diary of a Young Girl,” this star-studded BBC and PBS adaptation stars Ellie Kendrick as Anne, as well as Iain Glen, Felicity Jones and Tamsin Greig. During World War II, a teenage Jewish girl named Anne Frank and her family are forced into hiding in the Nazi-occupied Netherlands. Calling themselves “The Team with No Name,” Lawrence (David Pearse), Adam (Keith McErlean), Cathy (Olivia Caffrey) and Molly (Janet Moran) join together each week to take part in a local pub quiz. They each have their own particular strengths—and reasons for taking part. Team captain Lawrence is convinced his useless knowledge is the only thing he has going for him, leaving his best (and only) friend, Adam, constantly attempting to keep a check on his obsessive tendencies. Adam’s colleague Cathy is in love with him and only joined the team to spend as much time as possible in his company. Molly is a single mother who just badly needs to get out of the house! “Trivia” follows Lawrence, Adam, Cathy and Molly as they attempt to answer the big questions in life: Can you make someone love you? Can a person ever really change? And what was the name of the space ship in Blake’s 7? Comedian Aisling Bea joins in Series 2. Based on the same Emile Zola novel that inspired the hit series “The Paradise,” this stylish Italian-language romance drama follows Teresa Iorio, a young woman who leaves her rural Sicilian hometown for Milan. Teresa finds work—and much more—at a newly opened department store: The Ladies’ Paradise. Italian with English subtitles. Kerry Armstrong stars in the Australian comedy-drama as a woman trying to handle her life after she discovers her husband has died in the arms of another woman, leaving her broke. She returns to her home town of Rainbow’s End to live with her feisty mother, Minna (Julia Blake) and her teenage daughter Holly (Hanna Mangan-Lawrence). Britain’s shoreline, sea beds and sand banks are among the richest historical treasure troves on Earth, home to tens of thousands of unique archaeological sites. “Shoreline Detectives” travels the British coastline to visit historical wonders, including submerged Elizabethan ship wrecks, prehistoric stone forts, Roman villas, medieval villages, 18th century merchant ships and drowned forests. Many of their stories are being told for the first time.